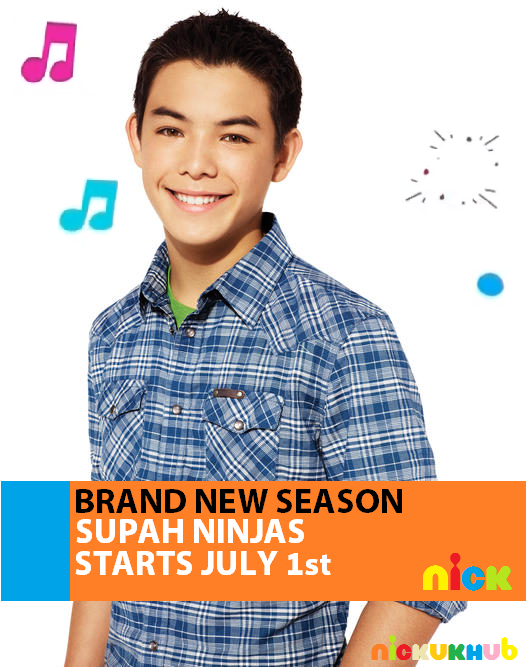 NickUKHub: Nickelodeon UK & Ireland to Show Second Season of Supah Ninjas Weekdays From July 1st 2013! Nickelodeon UK & Ireland to Show Second Season of Supah Ninjas Weekdays From July 1st 2013! Nickelodeon UK & Ireland has announced the exciting news that Nickelodeon UK & Ireland will premiere the brand new second season of Supah Ninjas on Monday July 1st 2013 at 4:30pm, and continue to show new episodes weekdays Monday to Thursday at 4:30pm (5:30pm on Nick +1), as part of Summer 2013 on Nick UK & Éire! The all new season premiered in the US in February 2013. Due to low ratings, Nick currently has no plans to renew the show for a third season.